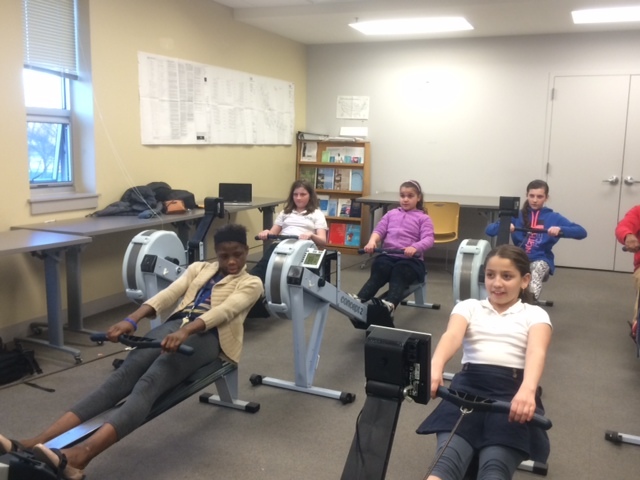 Through a collaboration between Doc Wayne Youth Services, the Joseph M. Tierney Learning Center at Beacon Communities, and Community Rowing youth in South Boston experienced the sport of rowing for the first time. Youth participated in a fused program combining the models of Doc Wayne Youth Services’ Chalk Talk program with Community Rowing’s Let’s Row Boston initiative. For more information on Doc Wayne Youth Services please contact us at info@docwayne.org and follow us @DocWayneDtG. David Cohen, Doc Wayne’s Executive Director, was recognized by the New England Revolution last night at Gillette Stadium as their 2012 MLS W.O.R.K.S. Community MVP. Prior to kickoff, Cohen was presented with the award by New England Revolution President Brian Bilello. David S. Cohen — Doc Wayne Athletic League, Inc.
David S. Cohen, Executive Director of the Doc Wayne Athletic League Inc., is a former college soccer player, with innovative thinking and a desire to serve disadvantaged children. Doc Wayne provides a positive sport experience and life skills curriculum to underserved children, including those who have been traumatized, sexually exploited, truant, gang involved, mentally ill and are differently abled. On a daily basis, David can be seen connecting with youth, teaching sport and life skills and mentoring young coaches. Since joining Doc Wayne, over 200 youth in New England have become involved and over 40 coaches have been trained in youth development techniques and curriculum. David encourages both youth and adults to find their positive path in life through sport. The Doc Wayne Program provides an environment for fragile children to be part of a team, be immediately supported in moments of stress with on-hand (and on court) clinical staff, survive in a large group setting and develop athletic skills David’s desire to enable the community to assist children globally has also been realized through his work as Founder of Playing it Forward, Inc., a non-profit that provides sports equipment to disadvantaged children around the world. Playing it Forward reaches 25,000 children in 9 states and 19 countries. To learn more about Doc Wayne please visit www.docwayne.org or follow us @DocWayneDtG. David Cohen, Doc Wayne Executive Director with NE Revolution President Brian Bilello prior to kick off. After completing Doc Wayne’s Week #4 Summer Olympics Session, players filled each other’s tanks with praise and received recognition in the closing “Circle Up.” Thanks to the Boston Celtics CommUNITY team (http://www.nba.com/celtics/community_community-index.html) each player then received either an “NBA Cares” or an “NBA Fit to Win” T-Shirt for their effort “Playing to the Whistle” on and off the field this past week. Doc Wayne‘s mission is to offer youth an innovative group therapy experience delivered through the medium of team sports stressing positive youth development. Doc Wayne Coach Eric Davis (Key Program Outreach Caseworker) and Doc Wayne Liaison Tara Keefe (Key Program Supervisor) submitted an article to their agency newsletter narrating their team’s most recent Doc Wayne boy’s flag football season.